The subtle flat tonal differences create an illusive treatment of the subject-matter. 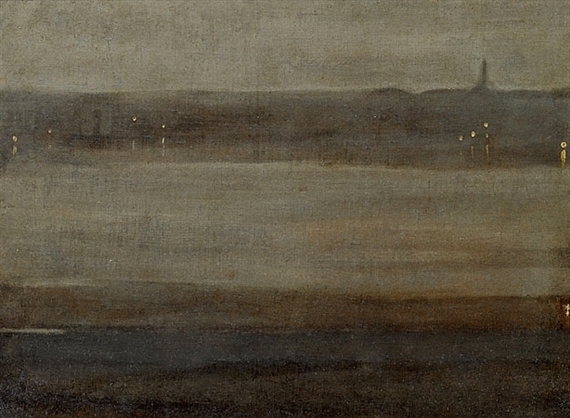 Whistler painted these at the height of the Japanese vogue in Europe. 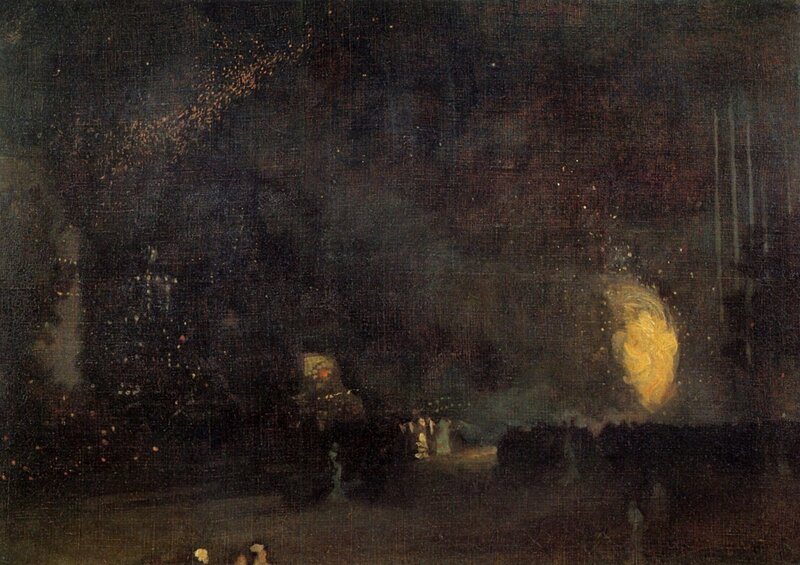 Many of Whistlers Nocturne paintings were influenced by his interest in Japanese art and particularly the Japanese artist, Hiroshige. This Japanese influence on European art and the move towards abstracting the subject-matter is indicated in several pieces through the exhibition. 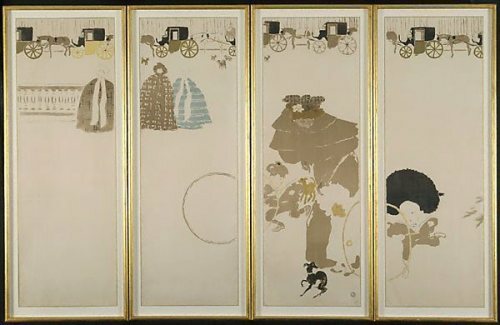 The most notable example of this is in Pierre Bonnard’s Nannies’ Promenade: Frieze of Carriages (1895-96). The four vertical scroll compositions with large areas of emptiness is a distinctly eastern character. Though there is an eastern influence in several of the pieces this is one of complex multitude of influences on European art at this time. The most unifying aspect for all the artists of this period is the increasing move towards openness and intuitiveness. From Primitivism, to Fauvism, to Cubism, the breath of work show in this exhibition gives a sense of the free exchange and development of ideas. All the boundaries and assumptions made about European art during the previous centuries had been called into question and the resulting art explored. The period of art has given artists the complete freedom to define the boundaries of their trade as there no longer is a hegemonic doctrine to dictate this. Paths to Abstraction is showing at the Gallery of New South Wales, Sydney, between 26 June to 19 September 2010.